How to correctly return the arriva bike? You are here: Home / News / How to correctly return the arriva bike? 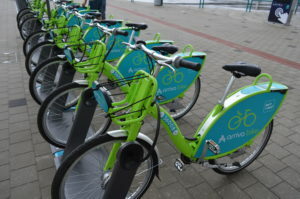 The bike has to be returned to one of the 7 official stations that are listed on the arriva bike website (or in the App). You can lock the bike by inserting the cable lock into the front fork through the dock. Enter the rental termination information via the bike computer. 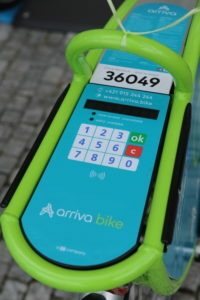 If the bike is not returned to the location described above or the information of the rental termination is not approved, the user might be charged a service fee according to the current price list on the arriva.bike website. For questions about the bike return process, call our customer service at +421 915 244 244.